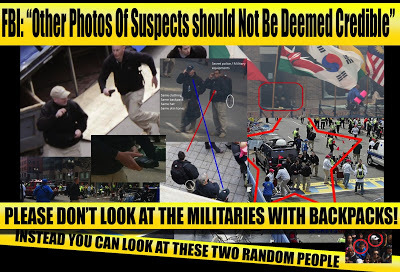 First 15 minutes: Since April 15th marked the fourth anniversary of the 2013 Boston Marathon bombing, we’re replaying the segment from a few years ago in which former mainstream journalist and real investigative reporter Dave Lindorff exposes the event as a false flag. Final 45 minutes: Jeff in Cincy (with co-host Rob from Winona) interviews Kevin about 9/11 truth, false flags, people dropping off the Trump train as it speeds ahead toward total war, and much more. This show was broadcast on April 19, 2017. This entry was posted on Tuesday, April 18th, 2017 at 8:35 pm	and is filed under 9/11, Anti-War, Censorship-Propaganda, Death Squads, Education, False Flag/Fake Terror, Freedom, Geopolitics, Justice, Kevin Barrett, News, Politics, Protest. You can follow any responses to this entry through the RSS 2.0 feed.